This town, about a half-hour’s drive from my home in Calgary, has lots of extraordinary views of the glorious Canadian Rocky Mountains. It’s fun to follow whatever whim comes along and see where random roads go. 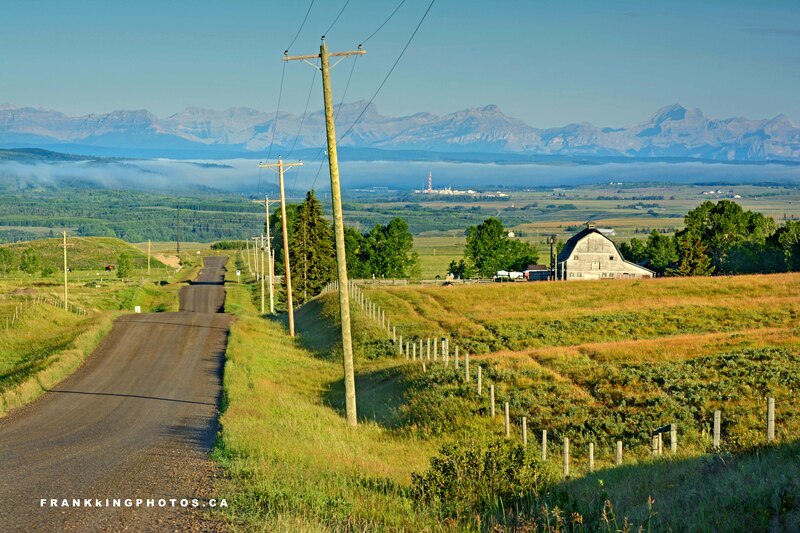 This restful morning scene required a telephoto lens to bring the distant peaks closer. Nikon D7100, tripod, polarizing filter, graduated density filter (on the sky and mountains).